Are You Slipper Ready for Reach for a Dream's #SlipperDay2019 ? Reach for a Dream’s annual #SlipperDay2019 is around the corner. The organisation strongly believes in the power of dreams. Children are encouraged to use their dreams to fight life-threatening illnesses. Annual slipper day aims to raise funds to help make those dreams a reality. The amazing work done by Reach for a Dream has been inspiring hope for over 3 decades. The sad truth of the matter is that the Reach For A Dream’s list grows daily, but they have a mission very close to the hearts. They work tirelessly to help kids realise their dreams, no matter how big or small. 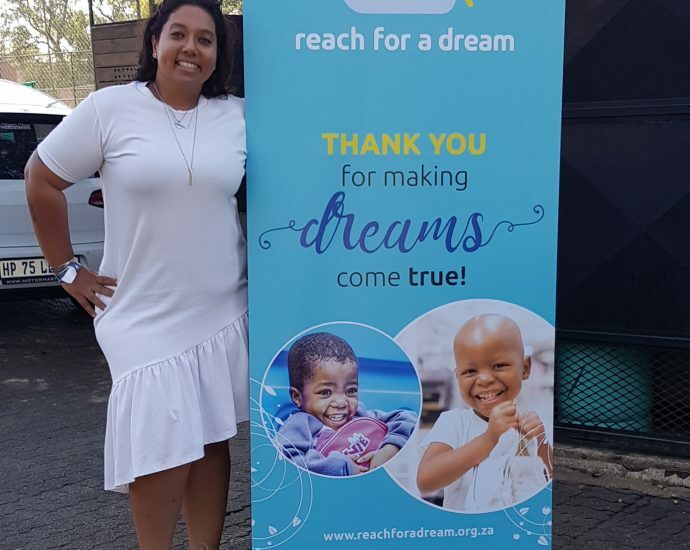 Thanks to your help and the help of others like you, Reach for a Dream brings hope, joy and healing to South African children and their families by offering these children a magical moment to regain their childhood that is being lost to a life-threatening illness. This year sees #SlipperDay2019 celebrate COURAGE as the theme of #SlipperDay2019 which helps raise the much-needed funds to support these dreams. COURAGE is a word that truly resonates with my journey and me. Fighting a terminal illness as a child is indeed courageous beyond belief. The Bachelor SA and I are slipper ready, are you? Wear your favourite slippers to school, work, university, gym, the shops or just around the house on 10 May 2019. Pop into a Wimpy on the 10th, wearing your slippers and writsband, so that you can claim your a free coffee (or hot chocolate for kids under 12) on Slipper Day. Go to bed wearing your slippers with your heart feeling all warm and fuzzy, knowing that your R10 helped fulfill the dreams of terminally ill kids and also gave their parents hope. Wear those slippers throughout winter as a constant reminder that we can always do more. The Reach For A Dream Foundation has positively touched over 3 million lives to date. The fulfillment of these dreams inspires hope and courage in the dreamer and helps them believe that tomorrow is worth fighting for. Nowadays you can’t buy much with R10. Your R 10 however can make a positive difference. Encourage your office, school, friends and family to take part in #SlipperDay 2019 by purchasing a wristband for only R10. Visit www.reachforadream.org.za or contact Gift Mobe on +27 11 880 1740 to purchase your own funky pair of slippers to show off this Slipper Day 2019 and don’t forget to share your special #SlipperDay2019 moments on social media.